The Thing Is . 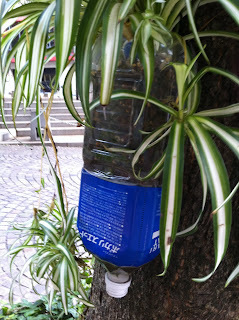 . .: Now That's Recycling -- Part Two! 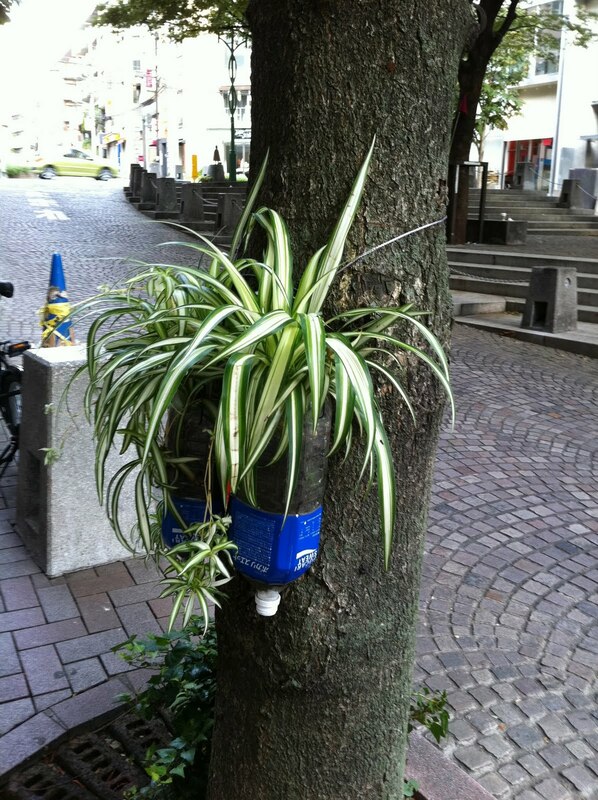 A Pocari Sweat bottle-turned-plant pot? 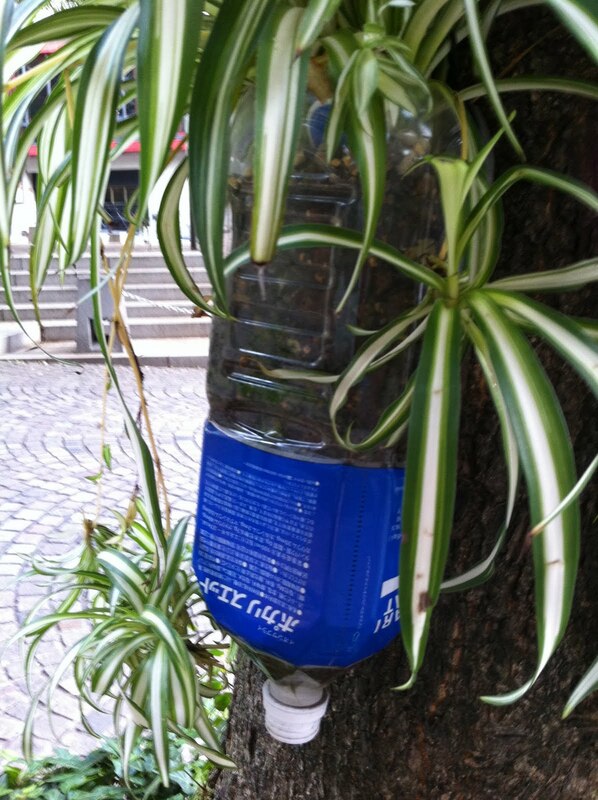 My design instinct appreciates the matching bottle (though not visible in my photos, there are three or four planters attached to this tree). And it takes a certain acumen to view a bottle neck an as upside down planter drain. Yet, I am sure we would all agree that nipping this problem in the bud, i.e. making, and buying, fewer plastic, PET bottles, appeals more.